The holidays have come and gone, but I wanted to share a couple more custom designs that I worked on at the end of last year ... so today and tomorrow I am sharing my sister's holiday card and my good friend, Jenny's new year's card. My sister wanted something simple and we used her photo as a starting point. On the back, we wanted showcase one more photo of Asher, my nephew. This is the result, which was sent out in red envelopes with custom shipping labels with type that matched the fonts on the card. 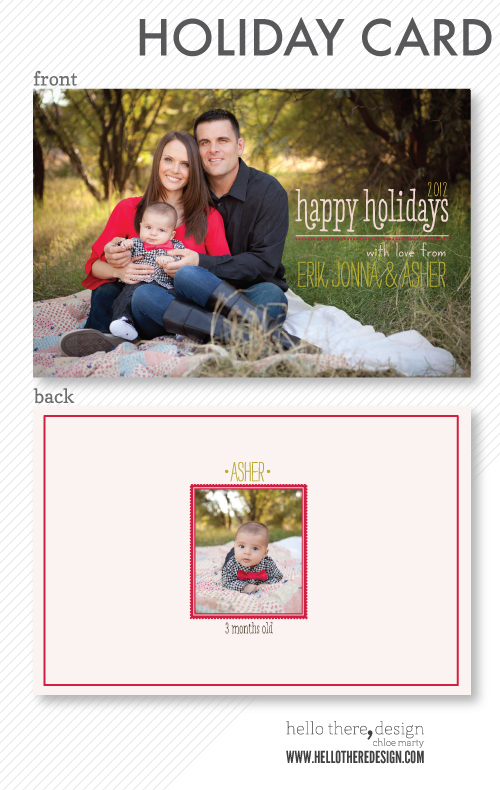 You can view more of my holiday card designs on flickr here.